It didn’t take long for gas prices to drive even higher. 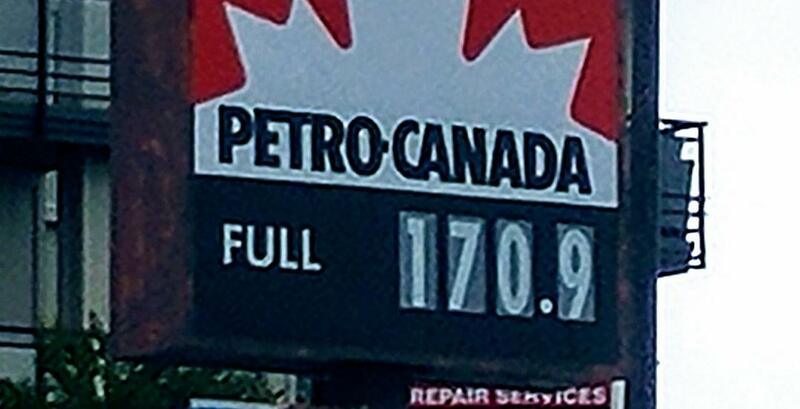 Just three days after Metro Vancouver set a North American record, prices continued to climb, breaking 170.0 cents/litre before Monday morning. “There’s a shortage in Vancouver and it’s not going to be resolved by anybody,” said Dan McTeague, Senior Analyst at GasBuddy. To make matters worse, major changes in price aren’t expected for the next few months. McTeague explains that the higher prices are far from a passing phase — they’re likely here to stay. “We could continue seeing prices remain in the 160.0 cents/litre range as the new normal,” he told Daily Hive last week. Earlier this month, British Columbia saw another increase in the province’s carbon tax rate – an annual increase that will continue until 2021. Gas stations have also transitioned to a “summer blend” of gasoline — a pricier, more expensive blend than its winter counterpart. Prices have since dropped to below 170.0 cents/litre, but the question still remains — is there any way to save money on gas? If you’re willing and able to compare prices at different gas stations, you’ll find some stations that cut part of their operating costs to continue to maintain customers. According to GasBuddy, you’ll also save money by topping off your tank when you see good prices, rather than waiting until the last minute to fill up. “If you’re waiting until the last second to get gas, you’re going to pull into the first station you see without checking a price and risk filling up at an expensive station,” says Patrick DeHaan, Head of Petroleum Analysis.